Prague is where the magic happens. There has been written a lot about what to do and see in Prague but we would like to share our personal „favourites“ with you. Prague is our home town and despite travelling the world we love our city more and more. Let us tell you about places we love and things we love to do here. We will be happy if this post brings some inspiration to you and cannot wait to hear your Prague stories. Every walk through cobblestone streets of Prague can bring a new little adventure. One point to note – the list is not complete :-). 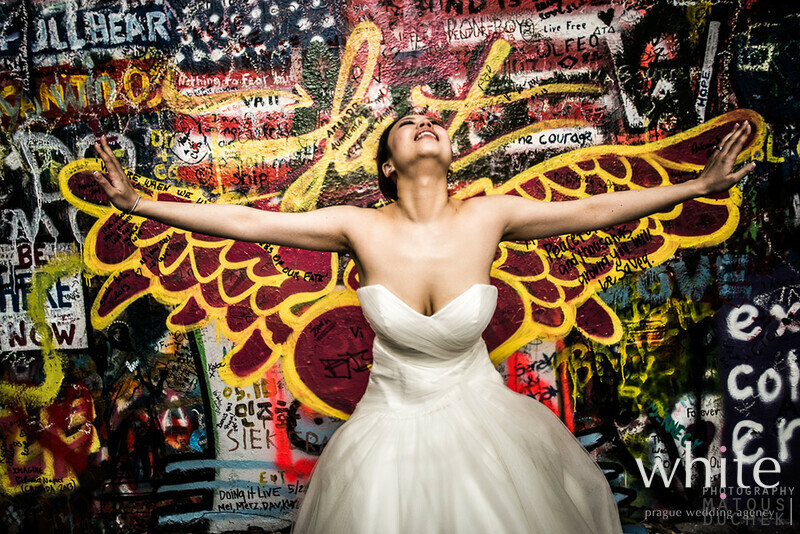 Newlywed Tamila & Justin by the John Lennon Wall by Petr Pelucha. 1) Have a pancake and prosecco in Cukrkavalimonada (Sugar, Coffee and Lemonade :-)) in the Lesser Town, few steps from the Charles Bridge. This is allowed any time of the day. They have a passion for food here and we have a passion for them. 2) Not only tourists but also lot of locals like renting boats and make trips on the Vltava river. Rock your boat and don't forget your sunscreen. 3) Prague is famous for jazz music. Have a romantic dinner followed by a jazz concert in Jazz dock club set on the river, watching the boats go by. So romantic. Tested several times. 4) If you love running and cannot stay away from your favorite sport even during your stay in Prague; try jogging along Vltava river. The pathway is wonderful and there are lot of opportunities to stop for a deserved (non) alcoholic beer if you get tired; some with life music in the summer time. 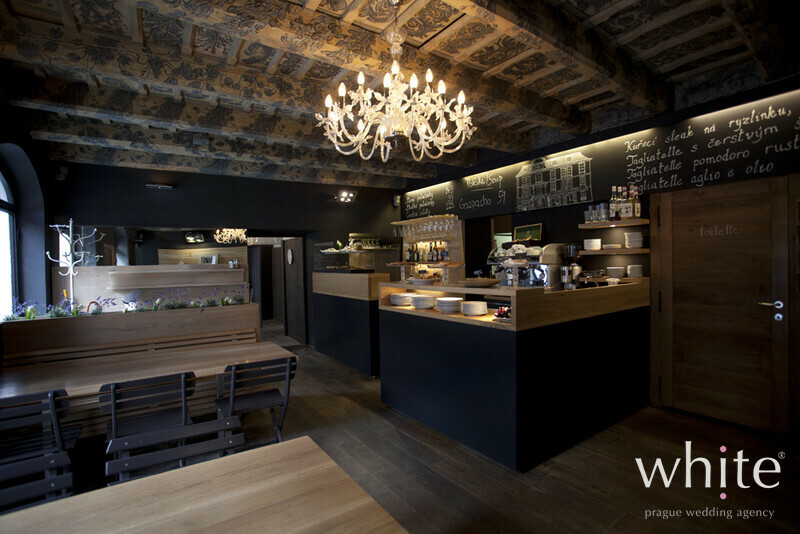 5) Walk down Nerudova street (leading from the Prague Castle area) and finish your walk by stopping at U Maleho glena for the best potato skins and some famous Czech beer (although this bar is American owned). Maly Glen is so cozy especially during cold weekend afternoons and you might not wish to leave. In this case, just move yourself a few steps down into even cozier small jazz & blues club..
6) While you’ll be at the Prague Castle, visit one of the art exhibitions. There are always at least a few on and they are amazing. 7) If you are into fashion, try to visit shops of top fashion Czech designers: Tatiana Kovarikova, Klara Nademlynska and Beata Rajska, all located very near the Old Town Square. 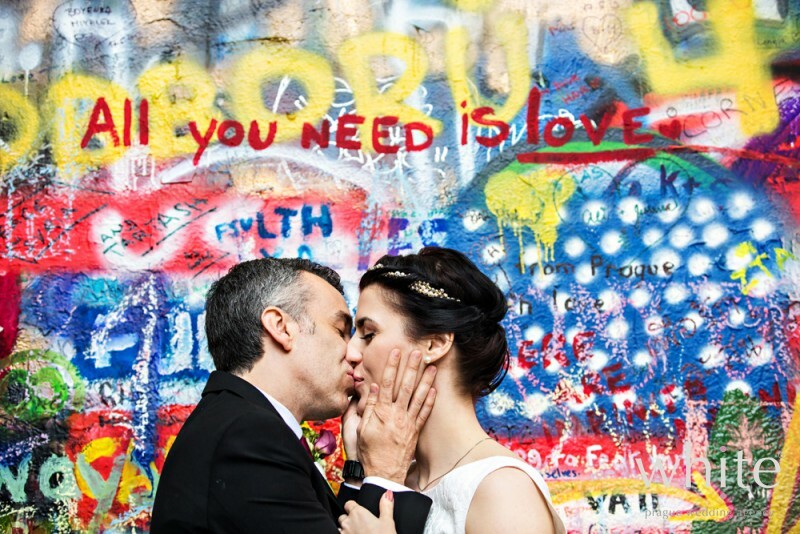 8) It’s where most tourists go to but if you have not seen the famous John Lennon Wall in Kampa (one of the most romantic and poetic parts of the city) you have not been to Prague. When I say tourists, I mean – cool and funky tourists. Everyone goes to see the Charles Bridge but not everyone makes it to the Wall..
9) Take a cable car up to Petrin hill and have a picnic in the park, near a younger sister of the Eiffel tower – the Petrin lookout tower. Shall you make your way up there on the 1st of May, do not forget to kiss someone you love under a blooming tree. A Czech way of St. Valentines day. 10) Have you heard someone who’s been to Prague talking about the giant babies crawling up the Television tower? You have to see them. They have been designed by controversial great Czech sculptor David Cerny .The newly opened restaurant with obviously perfect views called Oblaca (Heaven) promises heavenly great food and atmosphere. Has the word romantic appeared too many times here? Perhaps. We cannot help it. Prague is just so incredibly romantic. Have a wonderful Prague experience. We are so happy we can be planning your weddings here. Ashley & Ladi at the famous Charles Bridge in Prague by George Hlobil. Ida by the John Lennon Wall by Matous Duchek. Erin & Jim during a walk at the Prague Castle by Lukas Konarik. Our favourite Cukrkavalimonada. Photo courtesy of Cukrkavalimonada. 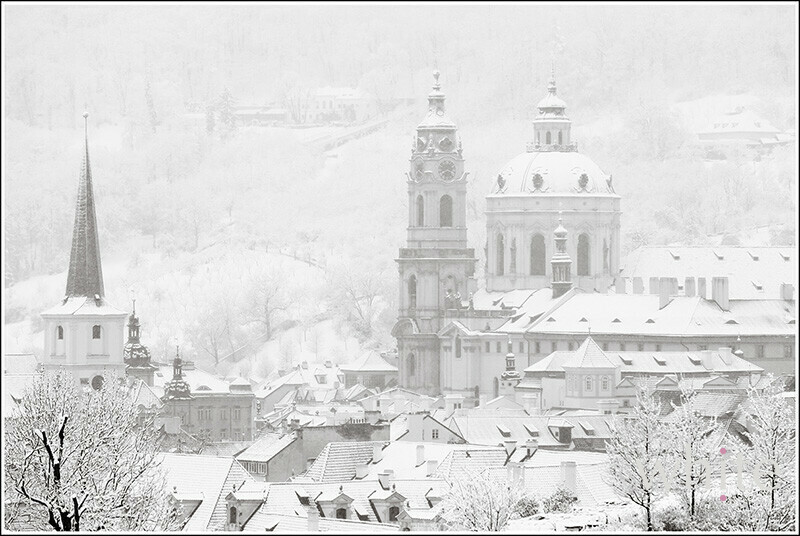 Prague covered in snow by Petr Pelucha.